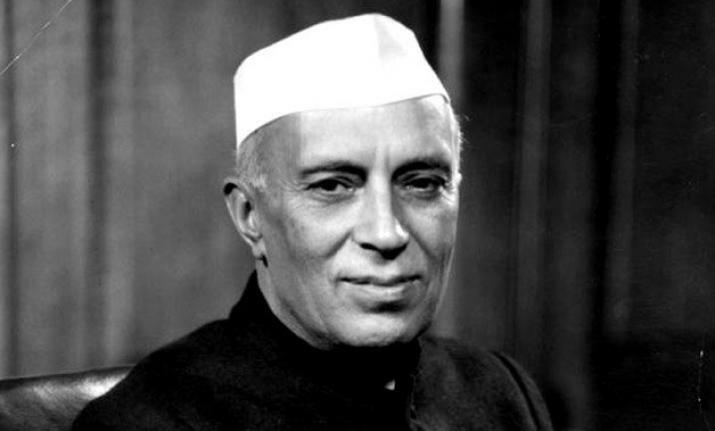 Jawaharlal Nehru was born to Motilal Nehru and Swarup Rani in Allahabad in British India. He was the first of the three children of the couple; other two were Vijaya Lakhsmi and Krishna. His father was a barrister and was actively involved in the Indian independence movement and served as the President of the Indian National Congress twice. Nehru received most of his primary education at home with the help of several tutors and governess. It was Ferdinand Brooks who was responsible for young Nehru’s indulgence and interest in science and theology. However, the same did not last long and his interest wavered after the departure of Brooks. At the age of 16, Nehru was enrolled at the Harrow School in England after which he got admission at the Trinity College, Cambridge, where he earned his honors degree in natural science. With his education graph was going steady, he also started developing the sense of nationalism. Writers like G. M. Trevelyan, Bernard Shaw, H.G Wells and J.M. Keynes shaped much of his political and economic thinking. After attaining his graduate degree, Nehru relocated to London in 1910 and enrolled himself at the Inns of Court School of Law, where he studied law. In two years, he passed his bar examination and was offered to be admitted to the English bar. Nehru returned to his homeland in 1912 and started practising law as a barrister at the Allahabad High Court. Slowly and gradually, he involved himself in national politics. Though Nehru wasn’t exactly convinced with the functioning of the Indian National Congress, which was dominated by the English-knowing upper class elite, yet he participated in the civil rights campaign initiated by Gandhi. Nehru argued for self-government and status of a Dominion within the British Empire as enjoyed by Australia, Canada, South Africa, New Zealand and Newfoundland. It was in 1916 that Nehru first met Gandhi, a relationship that turned to be one of a lifetime for the two. With Gandhi as his mentor, Nehru rose to prominence in the National Congress so much so that he was elected to the post of the general secretary of the Congress. Nehru not only contributed greatly to the national movement in India but also gave the freedom struggle an international outlook in 1927, when he attended the congress of oppressed nationalities in Brussels in Belgium. He was instrumental in making the struggle of common people in the princely states, a part of the nationalist movement. Apparently inhibitive about the civil disobedience movement, Nehru realized the potential of salt satyagraha and jumped on to support Gandhi and was imprisoned along with a large number of nationalists. During the World War II, Nehru demanded for assurance of full independence for India after the war and inclusion of Indians in the central government to share power and responsibility, but the British did not oblige. He, along with Gandhi, manifested a limited civil disobedience and was jailed for the same. In 1947, as India rejoiced the withdrawal of British from the Indian soil, it suffered the pain of partition, as the British had decided to partition the country into two – India and Pakistan. Nehru was appointed the head of the interim government. Though he made numerous attempts to convince the British of not dividing the country but Mohammad Ali Jinnah’s powerful opposition, communal violence and political disorder forced him to reluctantly accept the same. Pakistan was formed on August 14, 1947 and Nehru became the first Prime Minister of independent India. Nehru, during his term as the Prime Minister, brought forward radical changes in domestic, international, economic, agricultural and social policies. Under his administration, he established numerous basic and heavy industries, which he believed were fundamental for Indian economy to take a step forward towards development and modernization. He advocated for a mixed economy where government controlled public sector co-existed peacefully with the private sector. Nehru initiated the non-aligned movement (NAM) professing neutrality. The NAM was aimed at being neutral and not joining any of the two power blocks – the US and the USSR. Nehru strongly supported the inclusion of People’s Republic of China in the United Nations to establish warm and friendly relations with the neighbouring country. Throughout Nehru’s reign, Kashmir remained a subject of contention, as both India and Pakistan wanted to include the state in their country. Pakistan, in 1948, even made an attempt at seizing Kashmir by force but failed in their attempt. It was during his tenure that the Portuguese left Goa and the region became a part of India. He served as the first Prime Minister of independent India from August 15, 1947 until May 27, 1964. His birthday, which falls on November 14th, is celebrated as Children’s Day across the country. He has authored various books, including ‘The Discovery of India’, ‘Glimpses of World History’, and his autobiography, ‘Toward Freedom’. Often his surname is prefixed with the words ‘Chacha’ and ‘Panditji’. He established many institutions of higher learning, including the All India Institute of Medical Sciences, the Indian Institutes of Technology, the Indian Institutes of Management and the National Institutes of Technology.